Lillian Kathleen Waller, 90 of West Portsmouth died Monday, February 11, 2019 at SOMC Hospice. She was born May 19, 1928 in Portsmouth to the late John Charles and Olive Warner Reynolds. Along with her parents, she was preceded in death by her husband, William “Pete” Waller, 2 sons; William and Brian Waller, and 2 brothers; Joseph and Robert Reynolds. 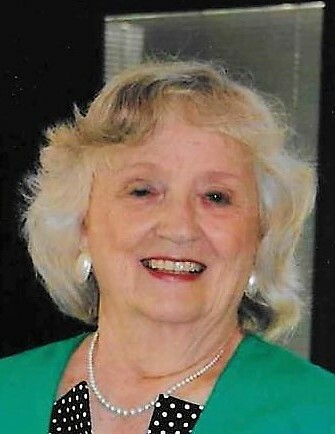 She was a 1947 graduate of Washington High School in West Portsmouth, a member of Old Town United Methodist Church, and a member of the Portsmouth Garden Club. She enjoyed playing cards with her friends at “The Card Club,” loved square dancing and bowling. Lillian is survived by 4 grandchildren; Allyson (Michael) Burrell of North Charleston, SC, Jason (Missy) Waller of Abingdon, MD, Emily (Bob) Stone of West Portsmouth, and Kimberly (Brendan) Lucas of Shaker Heights, OH, 6 great grandchildren; Kendra Ford, Asalyn and Aubrey Stone, Kaylee Waller, Sophia and Lincoln Lucas, a brother, Gary (Lois) Reynolds of Cincinnati, a daughter-in-law, Karen Waller of West Portsmouth, a sister-in-law, Barbara Waller of West Portsmouth, along with several nieces and nephews. Funeral services will be 11:00 AM Thursday, February 14, 2019 at the Roger W. Davis Funeral Home in West Portsmouth with Gary Hopkins and Greg Carter officiating and interment in Sunset Gardens. Friends may call at the funeral home from 6 to 8:00 PM on Wednesday and one hour prior to the service on Thursday. In lieu of flowers, the family request that donations be made to SOMC Hospice in Lillian’s memory. Condolences may be sent to www.rogerwdavisfuneralhome.com.